The memory consumption of the Tomcat Service is limited by the maximum heap size: this is the maximum amount of heap memory the Java Virtual Machine (JVM) is allowed to allocate. Especially on a 64-bit system, it is convenient to assign more memory than the default 1024 MB. Change the value of Max_Memory in the file …\tomcat\bin\setenv.bat. Execute …\tomcat\bin\serviceRemove.bat. This stops and removes the Service. Execute …\tomcat\bin\serviceInstall.bat. This installs and starts the Service. Change the value of Max_Memory in the file …/tomcat/bin/setenv.sh. 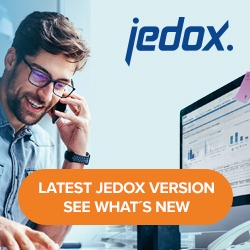 Restart the Tomcat Service via ./jedox-suite.sh start tomcat.